NEW YORK, NY--(Marketwired - Feb 10, 2015) - The American Society of Composers, Authors and Publishers (ASCAP) will host its 30th annual Film & Television Music Awards on Monday, March 9th, 2015 at the Beverly Hilton Hotel in Beverly Hills, CA. The invitation-only dinner and awards ceremony will honor the composers and songwriters of the top box office film music, the most performed television music and the top video game music of 2014. ASCAP will present its prestigious Founders Award to Oscar-winning film, theater and classical music composer Elliot Goldenthal. In addition, the ASCAP Shirley Walker Award will be given to composer/arranger and producer Deborah Lurie. ASCAP will once again bestow its Composers' Choice Awards at the ceremony, which are open to voting by all ASCAP writer members. This year ASCAP has expanded the Composers' Choice Awards to include three categories: Film Score of the Year, TV Composer of the Year and Video Game Score of the Year. Voting for all three categories opens in mid-February on ASCAP.com. The ASCAP Founders Award is given to songwriters and composers who have made pioneering contributions to music by inspiring and influencing their fellow music creators. Each recipient is a musical innovator who possesses a unique style of creative genius, which will enrich generations to come. Previous recipients include Quincy Jones, Alan and Marilyn Bergman, Elmer Bernstein, Stephen Sondheim, Burt Bacharach and Hal David. "Elliot's staggering body of work has earned him admiration from film, classical music and theater audiences," said ASCAP President and Chairman Paul Williams, an award-winning songwriter. "His distinctive style has created engrossing moments for listeners across all of these mediums. We're proud to recognize Elliot with the ASCAP Founders Award and look forward to his continued innovation." Lurie, who began her career scoring short films and went on to compose for films including An Unfinished Life starring Robert Redford and Morgan Freeman and the box office hit Dear John, will be presented with the ASCAP Shirley Walker Award. The award was established last year to honor those whose achievements have contributed to the diversity of film and television music. Shirley Walker, an ASCAP member, was one of the first prominent female composers working in film and television. She is remembered as a pioneer for women in the film industry. "Debbie's star has continued to climb as she's gone from composing for feature films to writing for recording artists like Katy Perry and Justin Bieber," said Vice President of Film & TV/Visual Media Shawn LeMone. "It's been fascinating to watch her trajectory and we at ASCAP have no doubt she'll continue to add her singular voice to the spectrum of today's composers. Through her incredible work, Debbie continues the legacy of Shirley Walker. She is the perfect person to receive this award." Composer Elliot Goldenthal received an Academy Award® and Golden Globe Award for his score for Frida directed by his longtime collaborator Julie Taymor, having also received an Oscar nomination for the film's original song "Burn It Blue" with lyrics by Taymor. Among his more than 30 film scores, Goldenthal also received Oscar nominations for his music for Interview with the Vampire and Michael Collins, both directed by Neil Jordan. 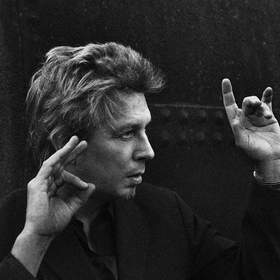 Goldenthal has received two additional Golden Globe nominations and three Grammy nominations. Also notable among his film scores are Michael Mann's Public Enemies and Heat, Neil Jordan's The Butcher Boy (Los Angeles Film Critic's Award for Best Score), Joel Schumacher's Batman Forever and Batman and Robin, Gus Van Sant's Drugstore Cowboy, his groundbreaking score for David Fincher's Alien3, and Julie Taymor's The Tempest, Across The Universe, and Titus. Goldenthal was inducted into the New York Foundation for the Arts (NYFA) Hall of Fame in Spring 2013. Goldenthal has composed music for more than a dozen theatrical productions, including Juan Darién: A Carnival Mass, directed by Taymor. It received five Tony nominations, including Best Musical and Original Musical Score for Goldenthal, an Obie Award for Goldenthal, and four Drama Desk nominations. In 2006, Goldenthal's original two-act opera Grendel was named one of the two finalists for the 2006 Pulitzer Prize in music. Goldenthal's large-scale symphonic piece, Fire Water Paper: A Vietnam Oratorio, was commissioned by the Pacific Symphony to commemorate the 20th anniversary of the end of the Vietnam War. It was released in 1996 on Sony Classical Records and featured soloist Yo-Yo Ma. His Symphony in G Sharp Minor had its world premiere with the Pacific Symphony in Costa Mesa, California in May 2014, and received the Orange County Register's Reger Award for "Best New Symphony." Goldenthal most recently composed the original music for an acclaimed production of William Shakespeare's A Midsummer Night's Dream directed by Julie Taymor for Theatre for a New Audience in Fall 2013 which received four Drama Desk Nominations including outstanding music in a play. A cinematic theatrical experience of A Midsummer Night's Dream had its international premiere at the Toronto International Film Festival in September 2014, directed by Taymor with original music by Goldenthal. Goldenthal collaborated with violinist Robert McDuffie and the McDuffie Center for Strings Ensemble, who premiered a new work by Goldenthal on February 9, 2015 at Le Poisson Rouge in New York City. He is composing original music and soundscapes for the Taymor-directed play Grounded, set to star Anne Hathaway and open in April at the Public Theater in New York. In addition, his ballet score for Othello will have its Revival Premiere at the Metropolitan Opera House in New York with four performances running May 19 - 21, 2015. Deborah Lurie's talent, versatility and unique approach to music have led to a long track record of success -- making her one of the top female film composers by box office earnings in history. Her scores can be heard in such films as Footloose (2011), Justin Bieber: Never Say Never, Katy Perry: Part of Me, Safe Haven, One for the Money and Disney's Prom. She also composed the score for Lasse Hallström's Dear John, the film that knocked Avatar from the #1 spot at the domestic box office. Deborah composed the score for the Tim Burton produced animated feature 9, with themes by Danny Elfman. Also in collaboration with Danny, she wrote additional music for Alice in Wonderland, Spider-Man 3, Charlie and the Chocolate Factory, Charlotte's Web, Wanted, and arrangements for the award-winning attraction Mystic Manor at Hong Kong Disneyland. Her work will be heard in The SpongeBob Movie: Sponge Out of Water and the new ABC drama, The Astronaut Wives Club. In addition to her film scores, Deborah has an extensive background as a string arranger for rock and pop artists including Kelly Clarkson, Katy Perry, Brandi Carlile, Daughtry, The All-American Rejects and Christina Perri. Members of the press can apply for credentials here.